Very pleased with this shcool. Few months earlier booked the course to renew my CBT and now decided to come back for 3-day DAS course. 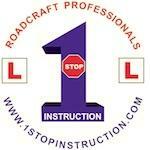 With a professional guidance and some practise, passed them all - CBT, Mod1 and Mod2 without any stress. However, have in mind - it is intense course, so be prepared. Another thing - swallow your pride and accept all the critisism you receive - it is for your benefit.